Cheap and Chic Small Apartment Updates You Can Do in a Day! The heart of the bedroom is, of course, the bed, so it makes sense to start here. Freshen up the bed by changing the sheets, giving the pilows a good fluffing and piling on the pillows. You can go for the color-coordinated look or use contrasting colors to add a pop of color to the bedroom. Clear the clutter off your bedside table and lean an eye-catching art piece against the wall to accentuate this area. A new artwork enhances the visual impact of the bedroom, giving the room an energetic vibe. You can opt for a graphic painting or a funky décor as an accent for the nightstand. It seems trivial, adding a rug to the bedroom, but soft flooring makes a huge impact in a room. A well-placed rug or two gives the bedroom a layered look; adding texture and character to a small apartment. Again, you can opt for color-coordinated rugs or a statement rug to refresh the bedroom. Place one at the foot of the bed and another in the seating area (if there’s any) to warm up your space and give it a fresh new look. A statement piece or two pulls the entire look of a space together. 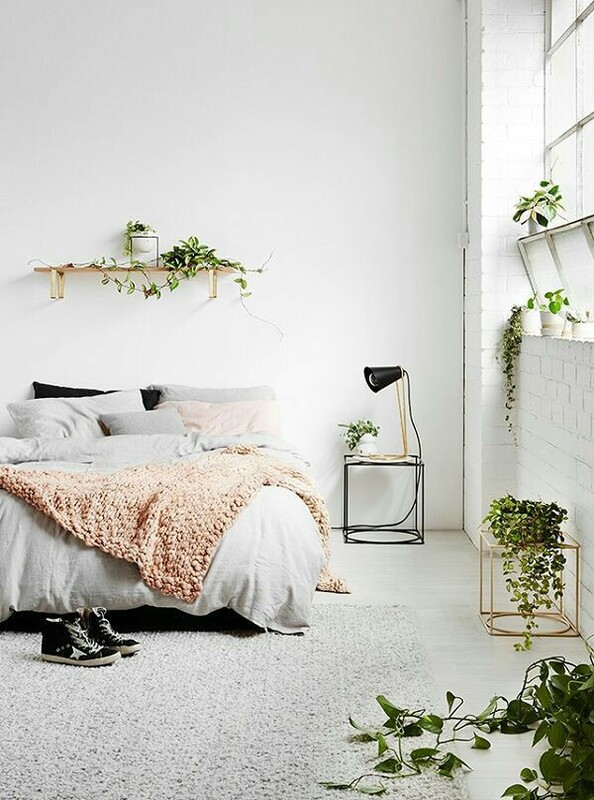 A cool lamp, a colorful throw, an accent chair or a houseplant could work as a statement piece that brings in new energy to the bedroom. Don’t be afraid to experiment with different looks to update the bedroom. The bathroom is a clutter magnet so start tidying things up before prettifying this space. Clear the bathroom sink and arrange your toiletries. Same thing goes for your dirty clothes, wet towels, etc., put them in their rightful places. 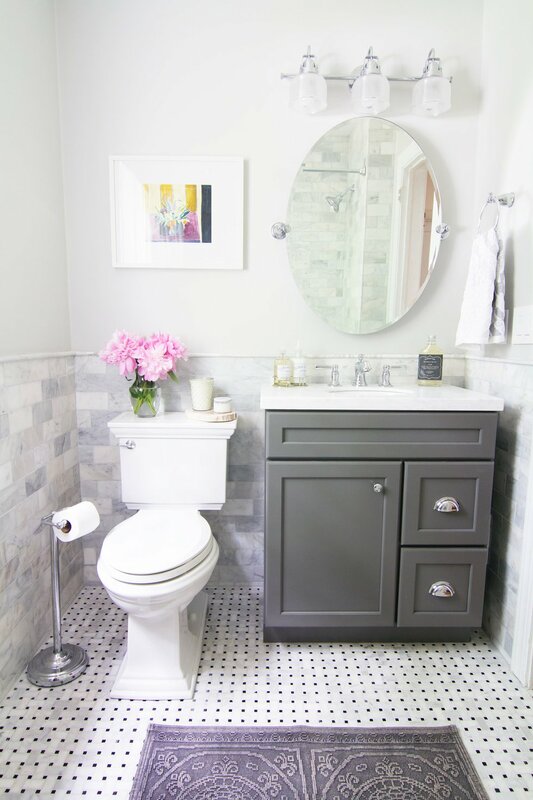 Keeping the bathroom neat and organized makes such a huge difference to the overall look of the space. Did you know that the bathroom’s warm, moist environment is ideal for growing a variety of houseplants? Adding a potted plant in the bathroom brings new energy to the room. You can go for a large, statement houseplant to dress the space, hang a climbing plant for a bit of romance, or assemble little pots of succulents on the bathroom counter. Go for houseplants that thrive in low lights, here are our picks. Give the bathroom a stunning update with artworks! Hanging a couple of paintings on the bathroom wall or placing an art piece near the sink are great ways to update the bathroom interiors. You can also decorate with scented candles, scent diffusers and potpourris to keep the bathroom smelling fresh. If your bathroom is short on storage, prop a ladder (or a standalone shelf) against the wall. Use that extra space to hang towels and bath essentials. Adding wicker baskets to provide flexible storage space for small items is also a great idea. Again with the soft flooring, rugs, and carpets add warmth and texture to a small apartment. So go ahead, place a couple of rugs or floor mats in the bathroom. You can go for a complementing shade or opt for patterned or printed textiles. Colorful towels and an eye-catching shower curtain could be used to add a pop of color to the bathroom. The living room is another room that is prone to clutter because most of us spend the majority of our time hanging out in the living area. 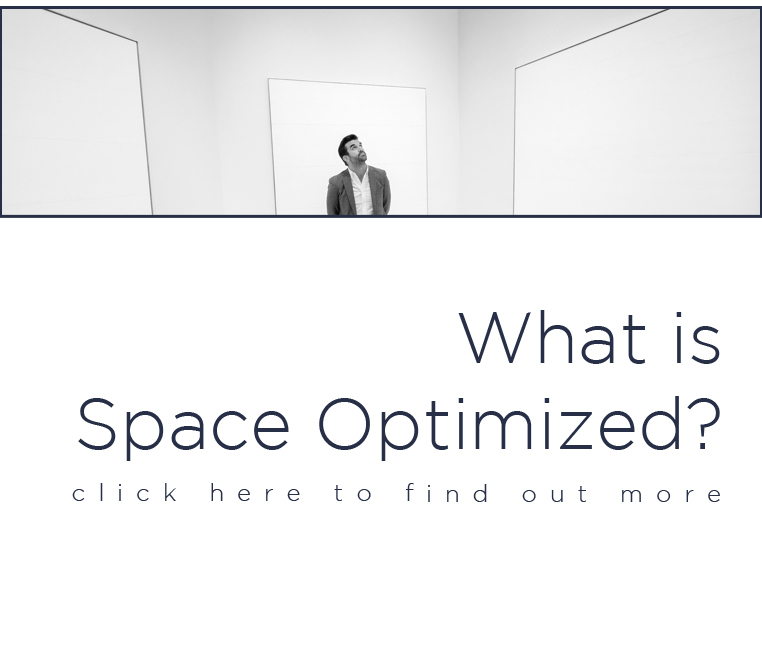 Clearing the space of clutter will transform the room almost instantly. After clearing the clutter, tidy up. Arrange the furniture, give the throw pillows a good fluffing, wipe off the dust from surfaces, etc. to make the living room shine. Change your living room curtains or draperies for an easy makeover that takes no time at all. Fresh drapes uplift the look and ambiance of the living room. You can go for a color-coordinated look or curtains in contrasting color to break the monotony, it’s your choice! Incorporating art into the living room is one way to add depth and character to an otherwise plain or tired space. And there are so many ways to do this. You can build an art gallery wall on blank wall spaces, hang a giant painting in the heart of the room or prop artwork against the wall. If you’d like to experiment with patterns, this is the best time to do it. 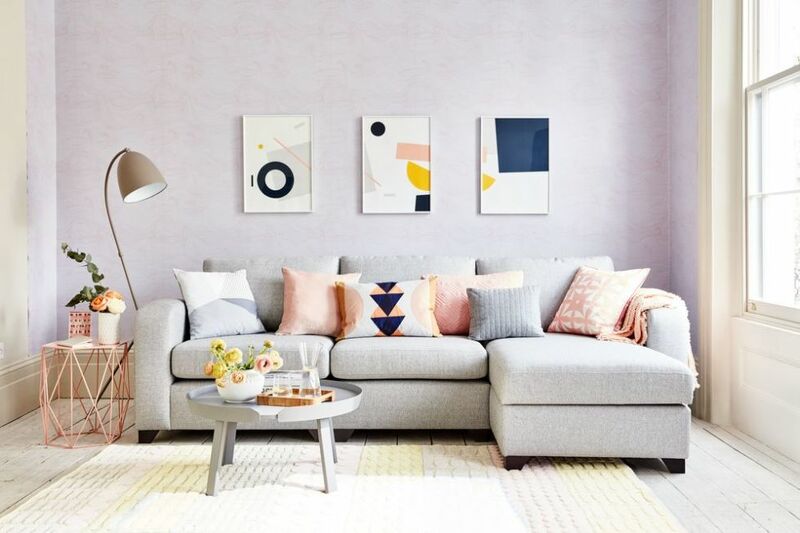 From lampshades with cheery prints to graphic throw pillow covers, patterned throws to funky accent chairs, mix and match different patterns to brighten the living room. Use a variety of scales when playing with prints. But remember, always use neutrals when incorporating prints into a space so the final look is cohesive and stylish. One of my favorite ways to dress up a room is to showcase travel, hobby, or heirloom collections. These funky items are great conversation starters and they add eclectic style to the living room. So go ahead and display cool items that you’ve always wanted to show off. But just so you don’t go overboard, limit the objects to display to two per shelf. Is your furniture layout in dire need of an update? Re-arranging your living room furniture is a great way to refresh the space. 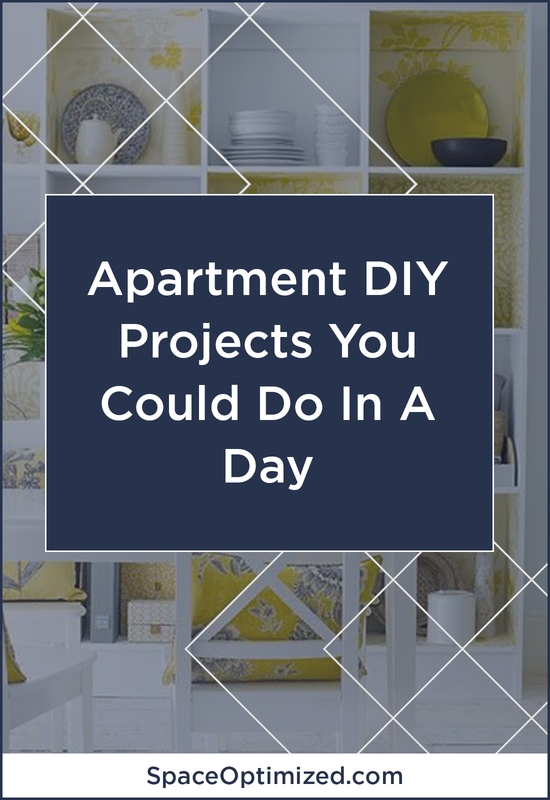 It’ll take a lot of elbow grease to move heavy pieces of furniture around but take this as an opportunity to build a focused and functional home. As you move pieces of furniture around, you might discover under-utilized spots. 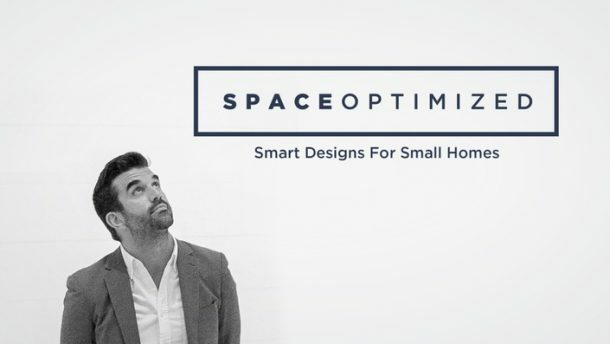 Use awkward and tight spaces to your advantage, make every square inch of space count! You can also breathe life back to old furnishings by using them for different purposes. An old chair could serve as a side table, a petite bookcase could turn into a room divider, etc. Is your dining room set up looking a bit sparse? Add a collection of accessories in the dining room to create an interesting space. Use old glasswares as centerpieces, fresh flowers for a pop of color, and beautifully framed pictures and artworks to dress up the dining room. 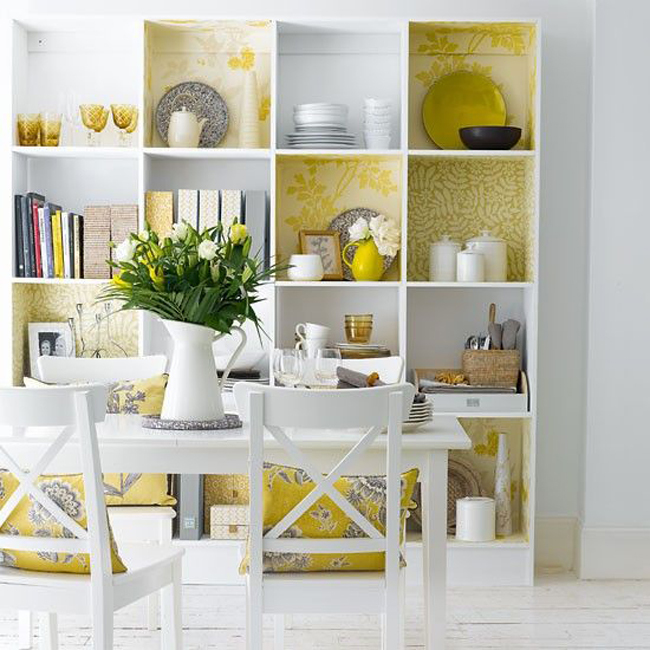 But if say, your dining area is too tiny for accessories, focus the updates on the dining table. Something as simple as adding a table runner on a table make such a difference to the overall look of the space. You can also prettify your dining area by taking the table arrangement up a notch. Warm up the dining room by changing the curtains and/or draperies. If you’d like to add definition to the dining room, use the curtains as an accent. Play with different curtain colors and details to make the dining room stand out. You can always count on carpets and rugs to elevate the look and feel of a room. The dining room is no different. Adding a couple of rugs and in color-coordinated or contrasting shades brings a cozy, homey vibe to the dining area. Filing the shelves with unused pots and pans will only make the room design appear busy. Use the shelves to elevate the style of the dining room, display your best china, wine collection, and stunning decors to liven up the room.